On September 24, 2018, RM delivered a speech for young people around the world at the United Nations General Assembly And on that same day, BTS and Big Hit Entertainment signed an official partnership agreement with UNICEF USA for the LOVE MYSELF campaign! The ‘LOVE MYSELF’ campaign was initiated in South Korea with the goal: ‘Love myself, then make the world a better place for all with that love.’ It has then expanded into Japan, North America and now Europe to sponsor #ENDviolence, a global project of UNICEF. UNICEF USA celebrated the agreement by offering a special way of donating money to fans. They created a microsite specifically for the ‘LOVE MYSELF’ campaign so that fans could donate directly to the official website or donate $10 by sending a text message that says ‘BTSLM’ to the number provided by UNICEF. If you are an ARMY who participated in the donation, we hope to show you our deepest gratitude. THANK YOU! On October 6, BTS and Big Hit Entertainment signed an official partnership agreement with UNICEF UK. UK became our fourth partner, following South Korea, Japan, and the USA. Just like UNICEF USA, UNICEF UK conducted a special donation project for a certain period of time. Fans could participate in the donation by visiting the ‘LOVE MYSELF’ campaign microsite or by texting ‘BTSLM’ to donate £5. 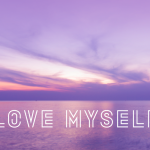 We hope more people can join us in the ‘LOVE MYSELF’ campaign as it continues to expand into the world. Please continue to support us and our campaign. On September 24, 2018, RM delivered a speech for youn..